Ryuuko, Mako, and the others are back and getting even rounder. 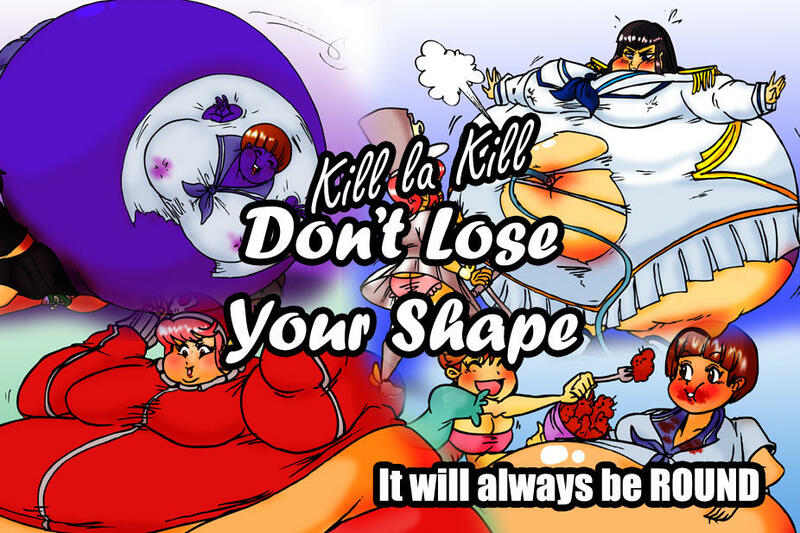 This is a collection of eight images all depicting the KLK cast subject to inflation fetishism (with some WG). All images are hand drawn and colored in Photoshop. Of the eight images in this download, five are inflation related, with Satsuki, Nonon, Mako, and Hakodate. The other two are weight gain related involving Ryuuko, and Nonon, and one belly stuffing related picture with Mako.